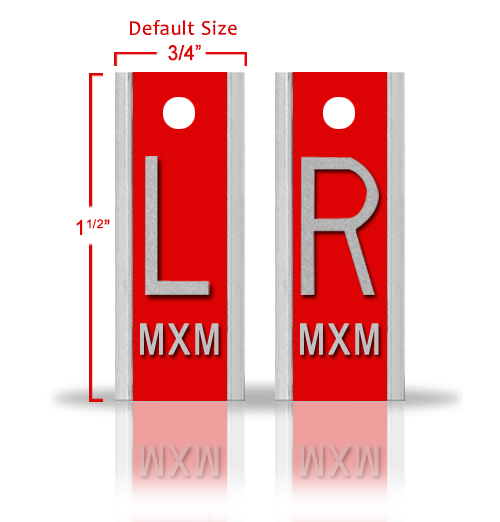 Basic Non-Adhesive Aluminum X-ray Markers. 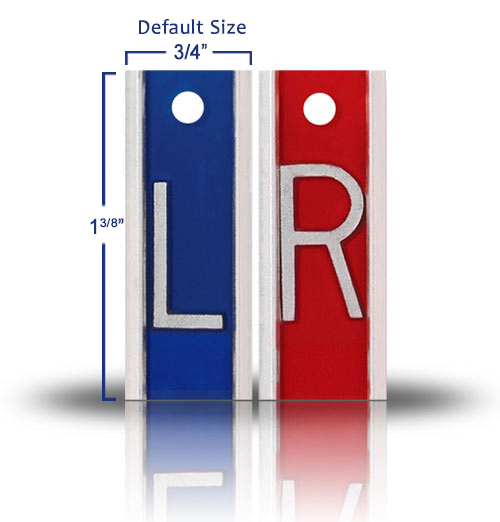 Color-coded: R is Red / L is Blue. Durable and impact resistant. 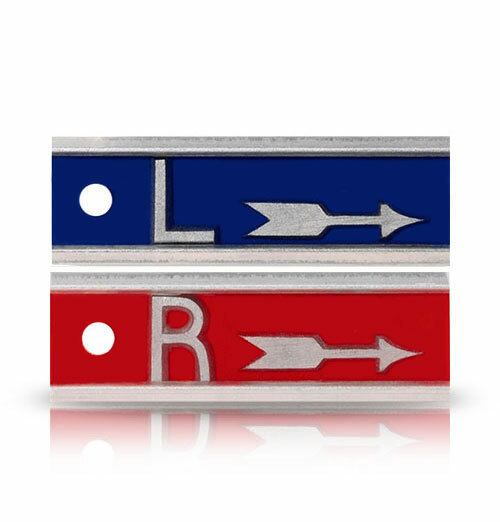 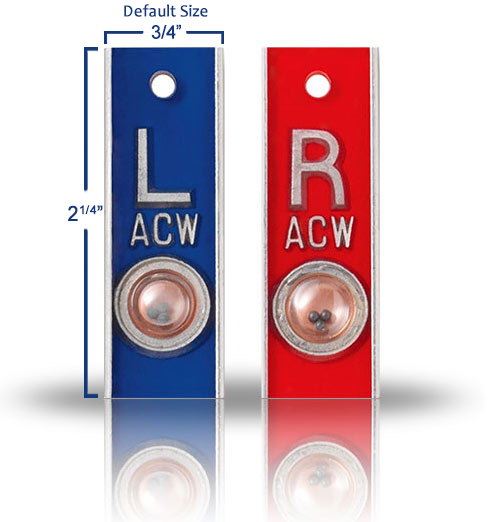 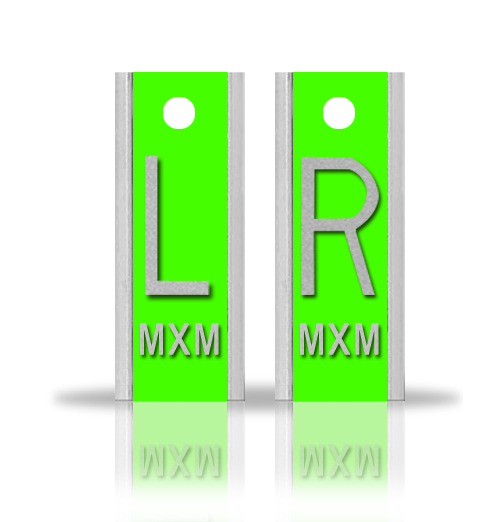 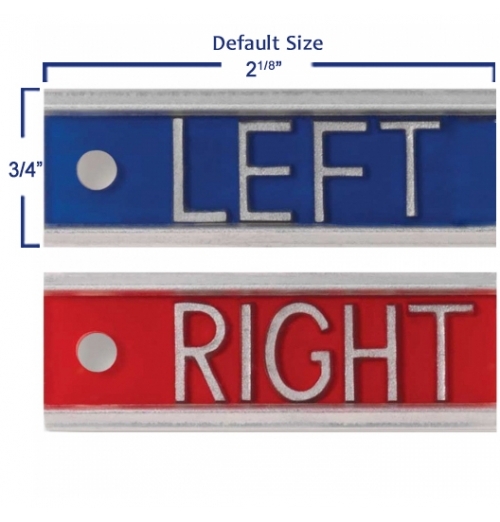 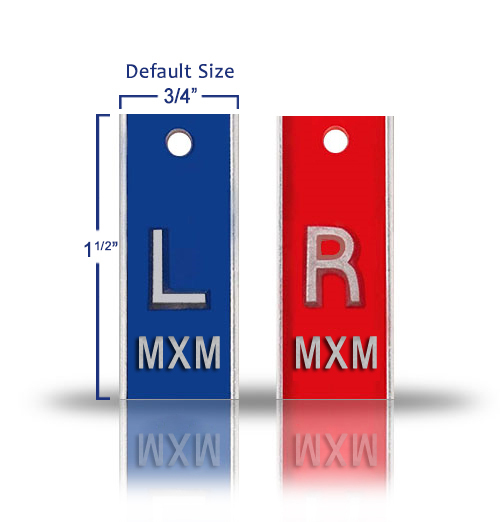 Default Price has been set for two markers L & R with up to 3 initials.